The indigenously designed ‘Sitara’ Intermediate Jet Trainer (IJT), which has gone through a troubled developmental phase that includes a crash in 2011, is set to revival with its designers planning to put the aircraft through fresh wind tunnel tests after a design upgrade. Top officials involved in the project told ET that the plan is to put the trainer aircraft through the crucial Spin Test - in which the plane is deliberately allowed to stall midair and recovered as part of the training process – within the next six months. 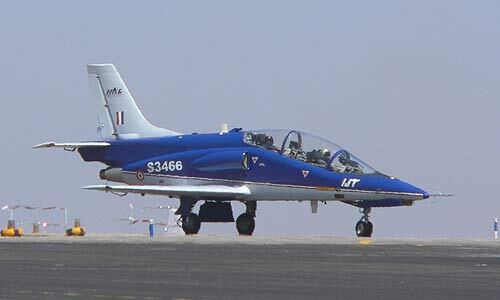 The IJT programme, a Rs 2,989-crore project that commenced in 1999, had hit a dead end after the aircraft failed to demonstrate its ability to get out of a stall and spin, a critical feature needed in a trainer aircraft that would be flown by rookie pilots. Its developer HAL had to call in external consultant BAE Systems in 2014 for a redesign of the aircraft tail to meet the stall specifications of the air force. “We are conducting a few more wind tunnel tests and should be read for a final round of the spin test within the next six months,” a senior official told ET. The IJT has met other specifications of the air force but has not been able to meet this critical safety test, forcing a change in the pilot training programme. The air force is in dire need of an intermediate trainer jet as the current `Kiran Mk II’ aircraft fleet used for the training is being phased out. Faced with a paucity of trainer aircraft, the air force has rejigged its pilot training program from a three aircraft plan to a three stage, two aircraft plan.